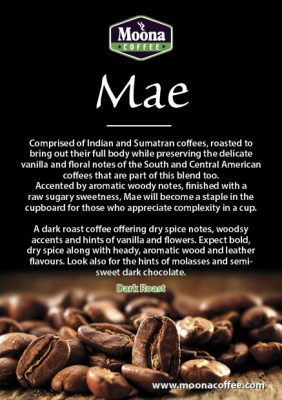 A mild to mellow light roast blend – Sunrise and break of day for your palate! It not every day that you get to start your day on the right foot. Well, this signature blend starts your day the right way, or propels your afternoon with its tangy citrus and floral notes. 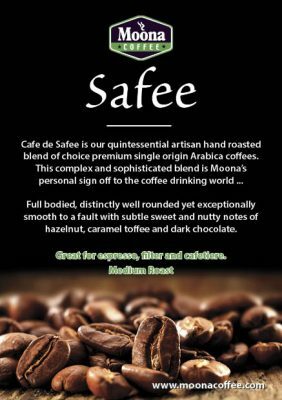 That’s right – Fia, the premium light coffee blend by Moona Coffee UK, is hand-selected, blended, roasted, and packaged to perfection so you can enjoy your coffee to the last sip. What Goes Into Your Coffee? As you might expect, Fia is a signature blend on the lighter end of Moona’s roast spectrum. The experienced roastmasters at Moona Coffee bring together a choice of refined, top-notch beans from both East Africa and India, and the resultant blend is simply out of this world, bursting with a raft of taste-tickling flavours. The beans are carefully hand-roasted to a lovely chocolate brown, characteristic of artisan light roasted coffees. This way, you can enjoy the unassuming and cheerful sweetness and balanced nutty finish of your coffee. Great coffee blends start with the artistry and expertise of the roastmasters. And that’s where Moona is king. They boast industry’s best experience in the art of hand roasting and blending of coffee beans. 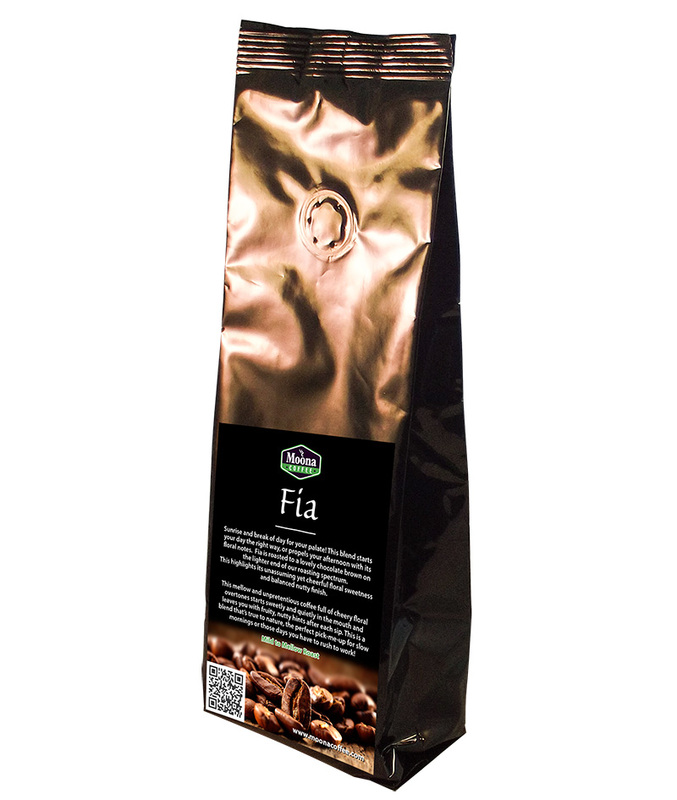 It’s for this reason that Fia is undoubtedly one of the best light roast coffee blends out there. The roastmasters go for only the finest coffee beans, use unrivalled roasting techniques, and package the product in state-of-the-art bags. It’s only this way that you, the customers, can enjoy a rich and flavourful cup of coffee. 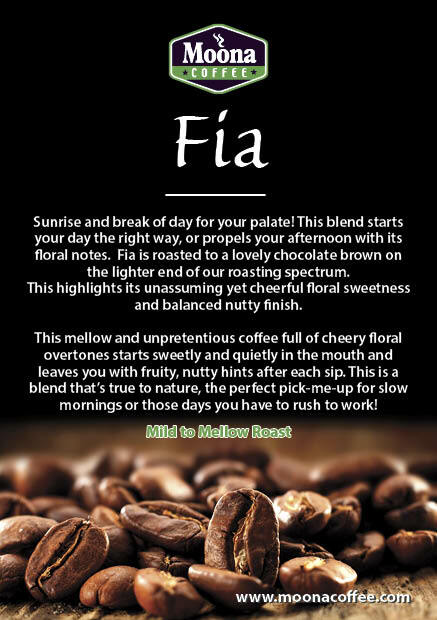 Fia is an unpretentious coffee blend that is poised to start sweetly and quietly in the mouth and leave you with fruity, nutty hints after each sip. This is a blend that is true to nature – the ideal pick-me-up for slow mornings or those days when you have to rush to work! You won’t miss the heavenly, subtle fruit sweetness that takes your taste buds by surprise. This premium artisan coffee blend also boasts cheery floral overtones that will simply knock your socks off. As if that isn’t fabulous enough, the sweet caramel and nutty hints will certainly finish off the burst of flavours in your mouth. Not many coffee sellers can ascertain the origin of their beans. FIA, on the other hand, is fully certified by the Rainforest Alliance. What are you waiting for? 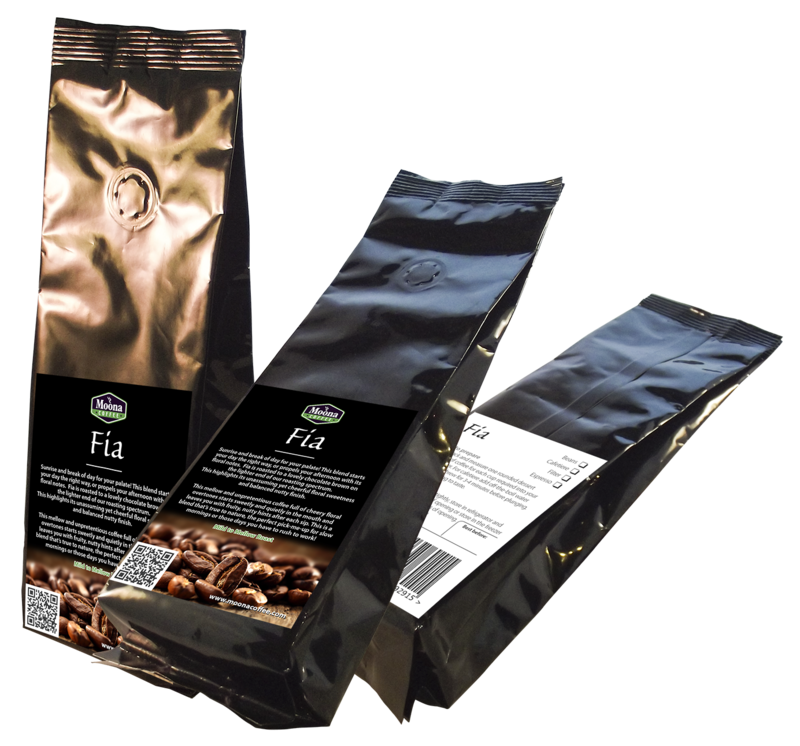 Buy your bag of FIA blend today, and discover the unassuming flavours of East African and Indian coffees.